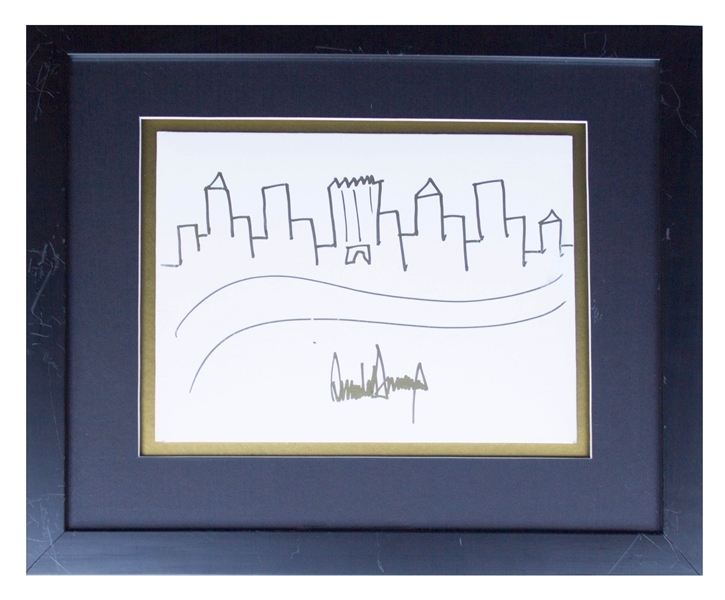 Donald Trump hand-drawn and signed sketch of the New York City skyline, with Trump Tower at its center. Composed and signed ''Donald J Trump'' in gold marker, artwork measures 11.5'' x 9'', nicely matted against gold and framed to 18.5'' x 16''. 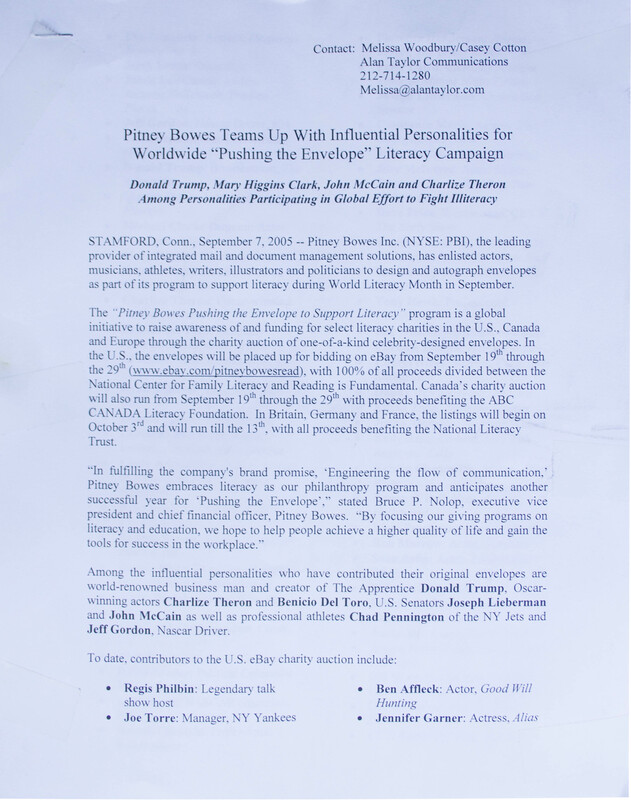 Light smudge and abrasion to right side, otherwise near fine condition. 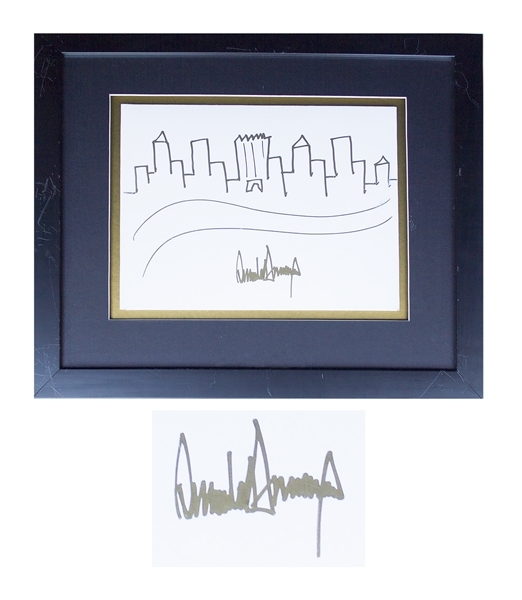 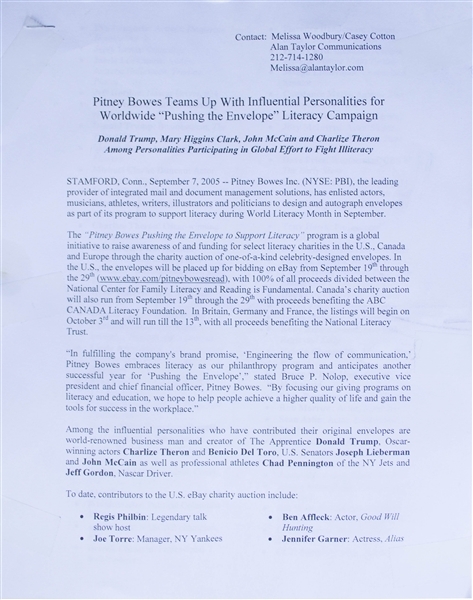 Originally drawn by Trump for a charity event, and very rare, with only a handful of such drawings known. Auction closed on Thursday, July 27, 2017.